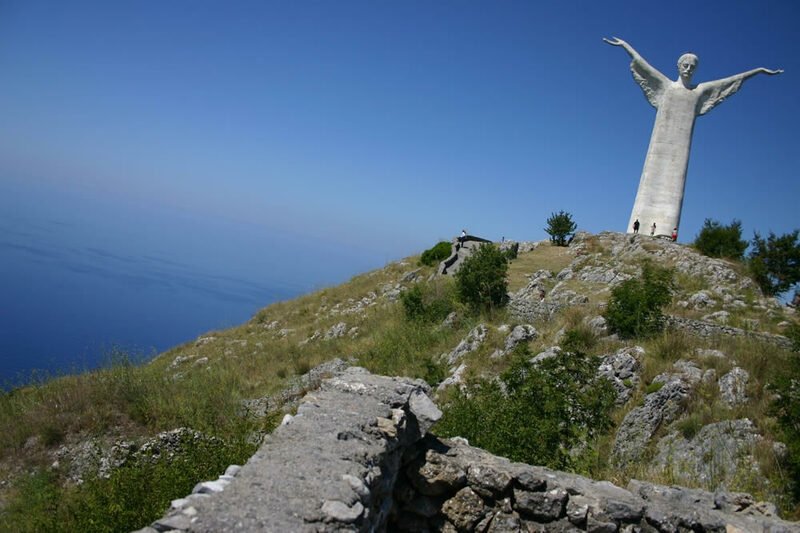 Cilento National Park and Vallo di Diano is the second biggest park in Italy and extends from the coast of the Tyrrhenian Sea to the Apennine Mountains in Campania/Lucania, including the tops of the Alburni, Cervati and Gelbison and the coastal buttresses of M. Bulgheria and M. Stella. Cilento National Park and Vallo di Diano is a Mediterranean park characterized the typical flora of those parks: Mediterranean scrub oaks, olive trees, pine trees and the remains of all the civilizations that have appeared on this sea from the Palaeolithic Age to the settlements of Paestum and Velia, from medieval settlements to the baroque masterpiece of Certosa di Padula. Magnificent result of the work made by nature and man. Located on the coast of the Tyrrhenian Sea, this park is today a living landscape that maintains an active role in modern society but retains the traditional characters that have let to its generation: organization of the territory, footpaths, structure of crops and settlements. 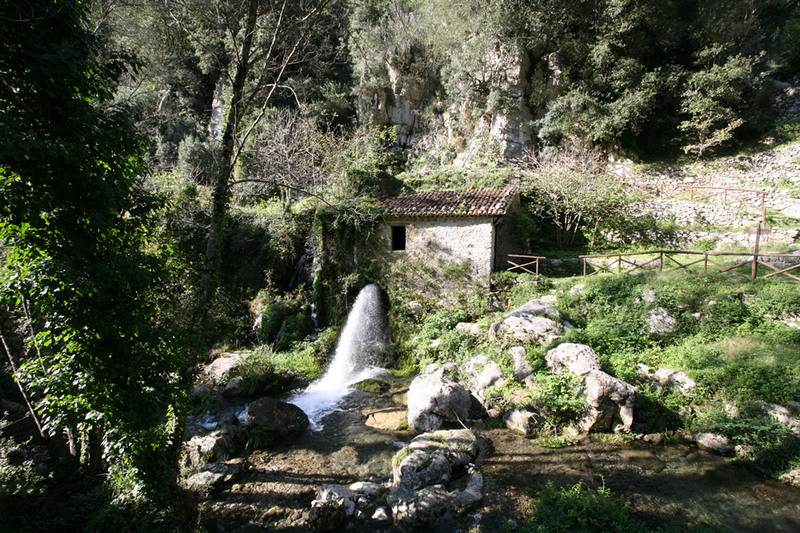 The extraordinary wildlife, due to the considerable heterogeneity of the territory, goes hand in hand with the mythical and mysterious character of a land rich in history and culture: the call of the nymph Leucosia, the beaches where Palinuro left Aeneas, the remains of the Greek colony of Elea and Paestum, and Certosa di Padula. And whatever else you can find in a land yet to be discovered. The cultural assoc. AUSS can organize workshops linked to the territory during the course of the year. It also organizes excursions during which you harvest and learn how to recognize and utilize wild herbs and it also offers miscellaneous activities related to the area (cooking classes, art history, and degustations) even in nearby villages and communities. 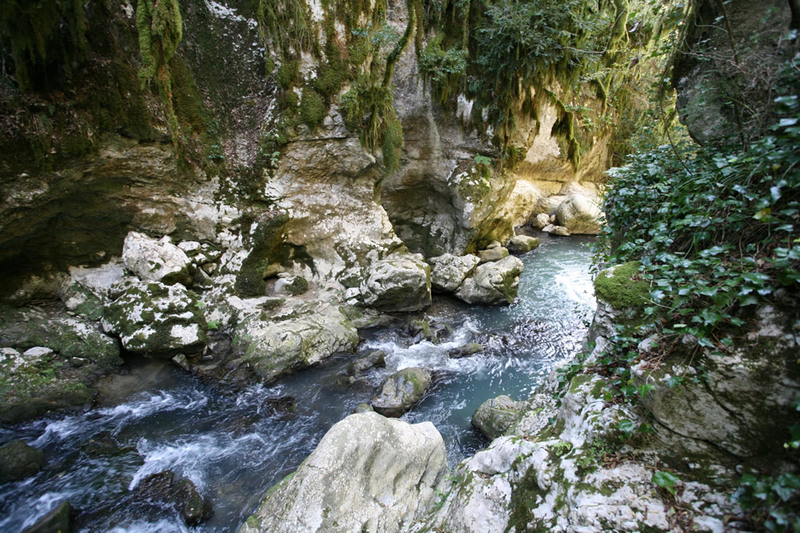 The association GET organizes canyoning in Bussento river. In the centre of Morigerati, there is an ethnographic museum that tells the story of the farmer from Bussento valley with over 3 thousand objects collected since the sixties. While waiting for the enlargement of Pontecagnano airport, the nearest airport is Naples-Capodichino. Then you have to take the train from the main train station in Naples to Sapri train station (recommended). There are buses from the train station to the different villages nearby. Take the highway "E45-A3 Salerno-Reggio Calabria". 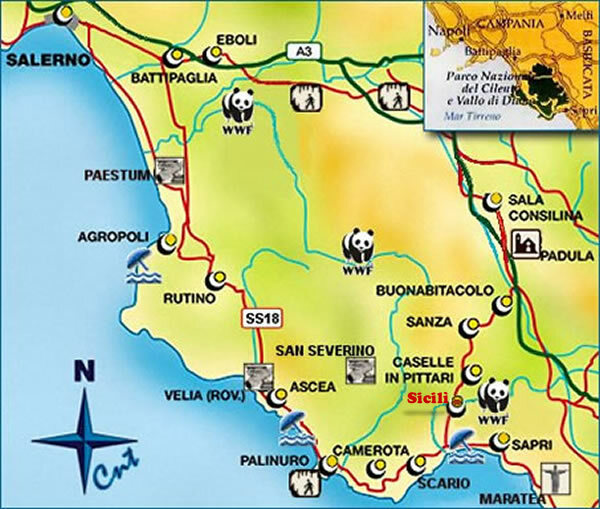 Take the highway exit at Buonabitacolo and then the state road 19 in direction to Sapri. Take the exit "Sicilì" (about 40 km). 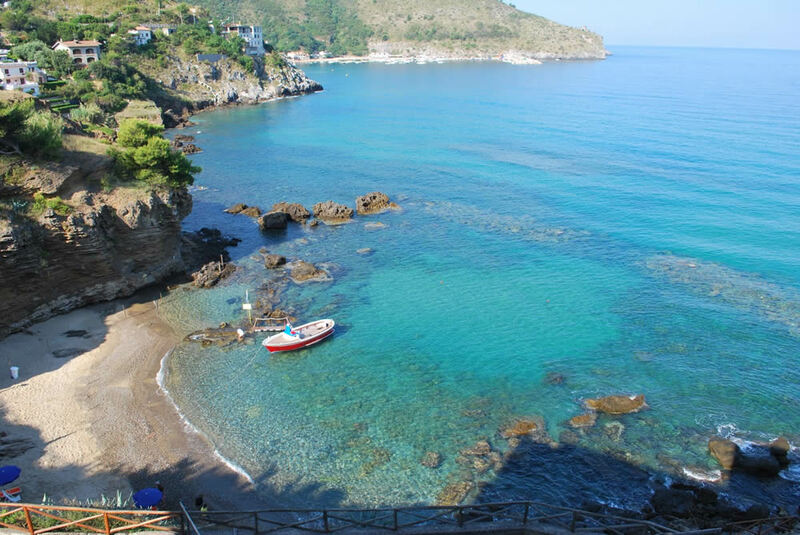 You can use the train from Naples to Salerno and Reggio Calabria along the entire park coast. We recommend stopping at Sapri. From there you can take the bus to the different villages nearby.